Cinecon 50 is coming soon!! Cinecon 50 is coming soon! For nearly half a century Cinephiles have gathered over Labor Day Weekend to celebrate the movies at the annual Cinecon Classic Film Festival. Cinecon is where archivists, authors, collectors and film fans come together for five days of classic film screenings, special programs, celebrity guests, and the best movie memorabilia show in the nation. Cinecon is dedicated to showcasing unusual films that are rarely given public screenings. Loews Hollywood Hotel will be the host hotel with all screenings taking place at the historic Egyptian Theater just down the street on Hollywood Blvd. Everything you need to know about will be added to Cinecon 50s website in the months to come, including news about films to be screened, hotel and dealer information, as well as registration details. 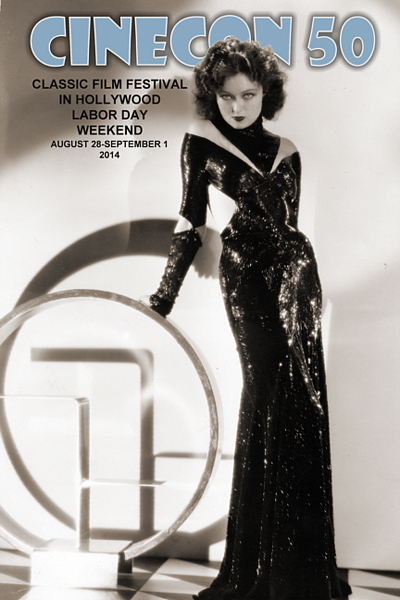 We hope you’ll join us at CINECON 50, Labor Day weekend, August 28th to September 1st 2014, in Hollywood. 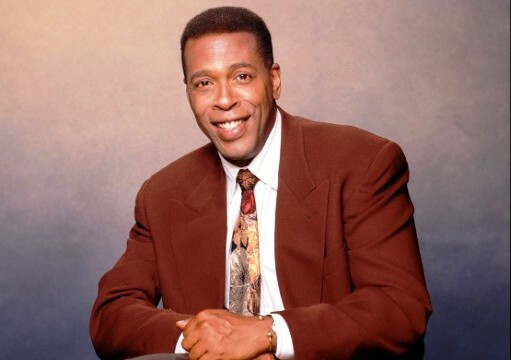 Meshach Taylor, who played the lovable assistant Anthony Bouvier, who worked at the Sugarbaker interior design firm in the CBS hit sitcom Designing Women, has died, his agent Dede Binder confirmed to The Hollywood Reporter. He was 67. 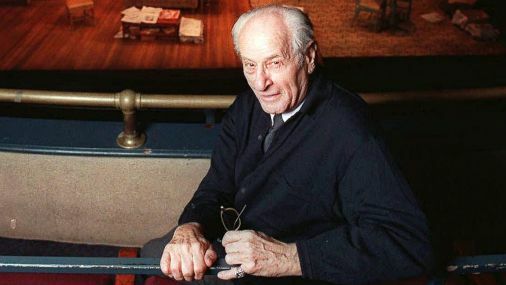 Eli Wallach, who received an honorary Academy Award for lifetime achievement in 2010, died Tuesday at his home in New York City, his daughter Katherine said. 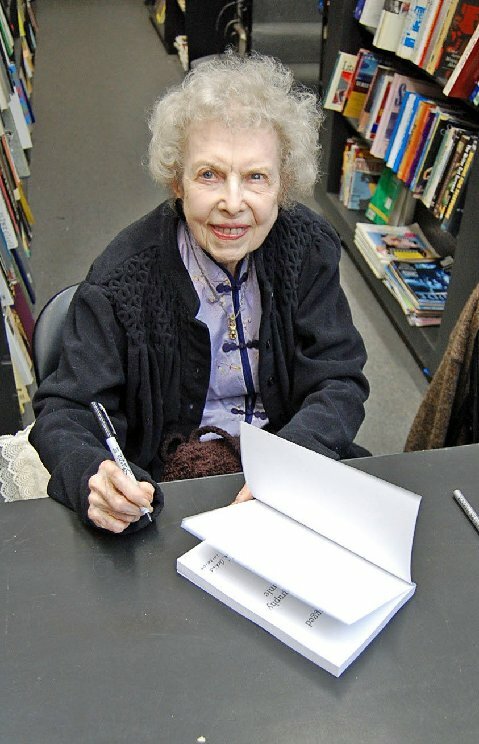 He was 98 and is survived by his wife of 66 years, actress Anne Jackson. 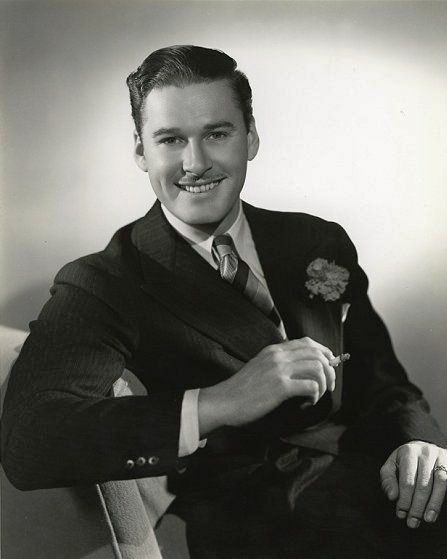 Details of a debt owed by Errol Flynn to a Northampton menswear shop have emerged, 53 years after his death. The Hollywood star became a regular customer at Montague Jeffery while acting in the town in the mid-1950s. 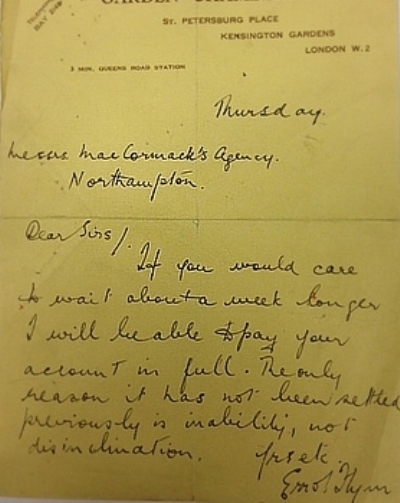 Manager Jonathan Williams unearthed a letter from detectives hired to track down Flynn, and one from the star acknowledging he owed the shop money. Flynn’s letter said he was “unable”, not “disinclined” to pay, but there are no known records to show he did pay. Flynn started his acting career in Northampton after leaving his native Australia, before shooting to stardom in Hollywood in the 1930s and 40s. However, while back in England in the 1950s he worked in the theatre there, and became a regular at the Montague Jeffery shop. “He used to drink at the pub opposite the shop, which was next to the theatre, so [it was] very handy,” Mr. Williams said. 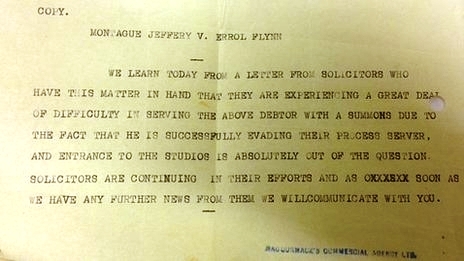 The letters, showing Flynn was not the ideal customer, were found when Mr. Williams decided to search through the shop’s archives. 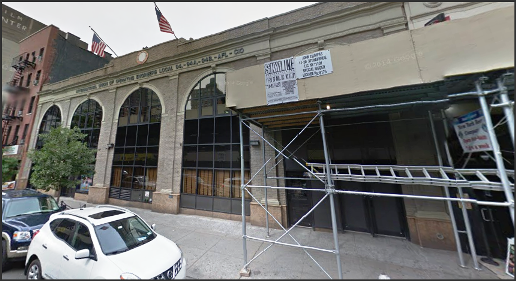 “The new cinema, named after Flynn, had just opened in Northampton and we knew we had connections to him too,” he said. One letter shows Montague Jeffery, Mr. Williams’s great grandfather, hired a firm of detectives to track down Flynn. “Flynn had moved to London by then, and an agency called MacCormack’s was asked to find him and issue a summons for the debt,” Mr. Williams said. However, the agency was unsuccessful and wrote to the shop saying access to the studio where he was working was “absolutely out of the question”. A detective agency was hired to track down Flynn and recover the debt. Carla Laemmle, a dancer, actress and niece of Universal Pictures founder Carl Laemmle who grew up at her uncle’s studio watching movies being made, died Thursday night at her home in Los Angeles. 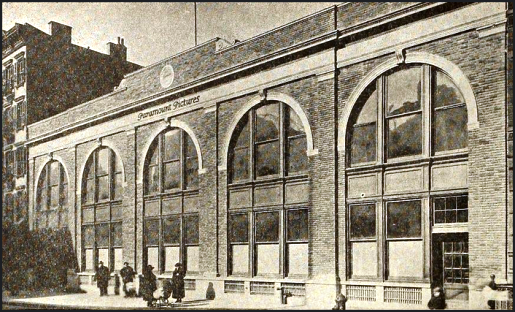 One of the last links to Hollywood’s silent film era, Laemmle was 104. 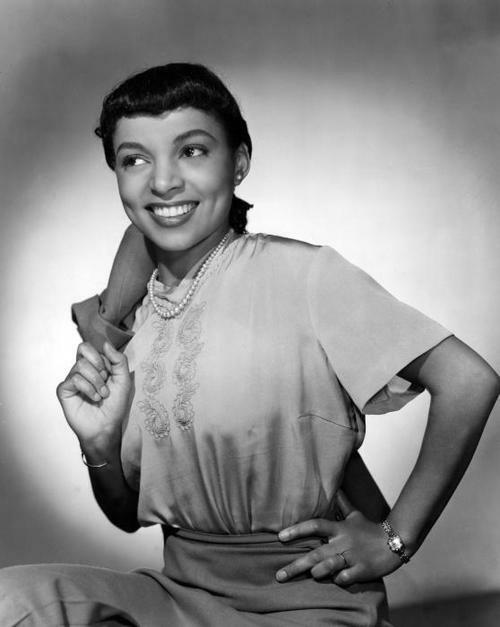 Ruby Dee, who with her late husband Ossie Davis emceed the Rev. Martin Luther King Jr.’s 1963 March on Washington and was celebrated for her civil rights activism as well as for her powerful performances, died Wednesday at her home in New Rochelle, N.Y. She was 91. Martha Hyer, an Oscar-nominated actress who was likened to Grace Kelly for her cool, blond elegance, has died in Santa Fe, N.M., where she lived since the 1980s. She was 89.